This celebration of the Georgian sailor's diet reveals how the navy's administrators fed a fleet of more than 150,000 men, in ships that were often at sea for months on end and that had no recourse to either refrigeration or canning. Contrary to the prevailing image of rotten meat and weevily biscuits their diet was a surprisingly hearty mixture of beer, brandy, salt beef and pork, pease, butter, cheese, hard biscuit and the exotic sounding lobscouse, not to mention the Malaga raisons, oranges, lemons, figs, dates and pumpkins which were available to ships on far-distant stations. 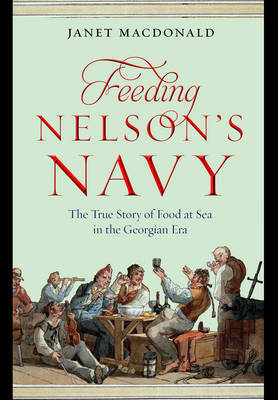 In fact, by 1800 the British fleet had largely eradicated scurvy and other dietary disorders. While this scholarly work contains much of value to the historian, the author's popular touch makes this an enthralling story for anyone with an interest in life at sea in the age of sail.